The Perley and Rideau Veterans’ Health Centre (Perley Rideau) is a not-for profit seniors’ care organization with 450 provincially licensed long-term care beds, more than 200 beds are contracted to Veterans Affairs Canada and supported by the federal and provincial governments. The contract beds are priority access beds, reserved for Veterans who served in World War II or the Korean War (“War Service Overseas Veterans”), and meet a set of eligibility criteria. Historically, Veterans who did not meet the eligibility criteria for contract beds have been referred to community long-term care facilities. In February 2017, Perley Rideau received approval for 25 Specialized Veteran beds, in recognition that the broader Veteran population has specific health and social needs. 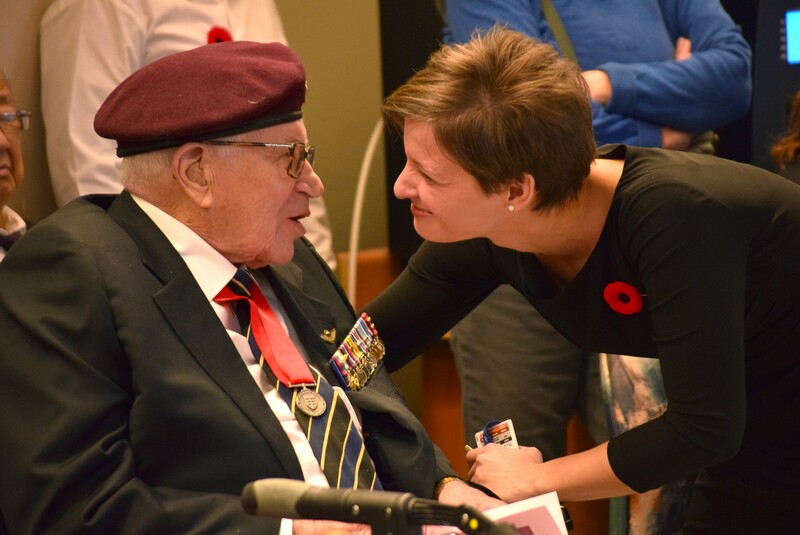 This program allows Perley Rideau to leverage its history of caring for Veterans and decades of expertise and capabilities to care for and support vulnerable older Veterans. The Specialized Veteran beds are designated to serve the population of Veterans who are ineligible for contract beds, but are eligible for VAC-supported care in a community facility. The first eligible Veteran resident was admitted to the new Specialized Veteran beds in March 2017, and the 25 beds are now fully occupied. Given the current waitlist and the anticipated decline in the population of War Service Overseas Veterans, Perley Rideau is seeking approval to expand the program beyond 25 beds. To qualify for one of the new beds, a Veteran must need assistance with activities of daily living (bathing, dressing, etc. ), be a former member of the Canadian Armed Forces or an Allied Veteran who served in Canada for at least 365 days and have a service-related disability. The Veteran must also meet income requirements. Eligibility is determined in partnership between Veterans Affairs Canada and Home and Community Care.